Papo & Yo is special. This once-PlayStation 3 exclusive has now made the jump to the PC platform. I was given the opportunity to review it from start to finish, and now I'm here to tell you that you probably should have given it a shot when it launched for the PS3 last year. I know, I know, I probably should have given it a shot as well. The game released into an exceptionally stacked software season with more than one indie darling surrounding it. Papo & Yo sort of got lost in the shuffle. Minority, the game's developer, elected to push it to the PC platform. Now that it's out in front of even more eyes, it's time we all give Papo & Yo its due. 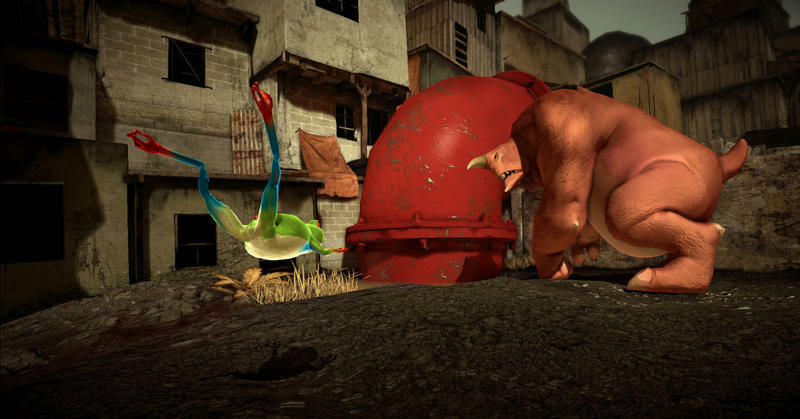 In Papo & Yo, at least on the surface, players take on the role of Quico as he moves through a fantasy world filled with puzzles, fruit, frogs, a strange girl and a towering monster. Quico will have to explore the linear space, with the help of his cool robot friend, in order to cure his monstrous companion and escape a form of evil. Players will be presented with slowly evolving puzzle mechanics that require platforming, thinking and planning skills in order to be conquered. The music is charming and the puzzle elements remain relatively easy through this short campaign. When things get dark, and we'll get into these bits further in a little, the game retains its relative ease while adapting an extra layer of anxiousness. The puzzles are a touch too easy. That's not really helped by the fact that the game is exceptionally short. An easy game with simple puzzles might deserve to be slightly longer; on the other hand, ratcheting up the difficulty of the puzzles would have played well to making a shorter game. Papo & Yo straddles that line. The controls are also a little touch, with Quico missing jumps and not grabbing fruit as deftly as I wanted him too. When things ramp up and get a little more intense, playing can be harder than it should. At a cursory glance, Papo & Yo is a simple title that presents a few good puzzles and a clever set of mechanics between the characters involved in the plot. 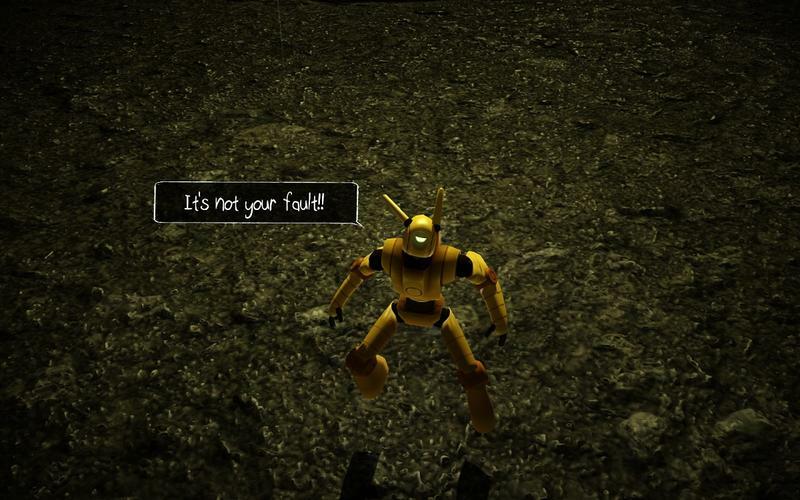 When players step back and consider all that's in front of them, however, Papo & Yo is a game about child abuse. Heck, the game starts with a dedication from its creator Vander Caballero that reads: "To my mother, brothers and sister, with whom I survived the monster in my father." This is Caballero's story, perhaps not directly, as it felt. Let me stop you right here. If you're the type of gamer who'd rather experience the nuances of a game like Papo & Yo firsthand without any outside impressions, skip this section. I'll be touching on the unsubtle metaphors that tie this whole thing together. Players, like I mentioned before, take on the role of Quico. The monster, of course, is Quico's abusive father. Quico uses the monster to solve puzzles by dragging him from point A to point B with fruits. The trouble comes when the monster finds a frog. Frogs are a metaphor for whatever substance Quico's father is abusing. Let's say they represent alcohol. When the monster eats a frog, he goes off on a rampage and hurts Quico. The only way Quico can stop the monster is by feeding him a rotten fruit, at which point the monster passes out and the rampage ends. Like I said, these metaphors aren't subtle. However, they work really well in driving the story forward. By the time the game's two-to-three hours draw to a close, the monster moves from being a unique mechanic and turning into a complete burden. It makes for an aggravating gaming experience. However, since the game is so short, this burden-esque feeling actually works towards helping the game achieve a piece of its message. An abusive parent, much like the monster in Papo & Yo, is a burden on his or her children. Living with a drunk, looking up to a drunk and being beaten down by a drunk is a juggling act. Children almost always feel at fault, and they carry the burden of their abusive parents around for life. It's all very lofty, but for a game like Papo & Yo to achieve this sense of depression, claustrophobia and being burdened is exceptionally brilliant. It's expressive, and the interactivity and puzzle-solving elements of the title all work towards giving the core message an even bigger impact. 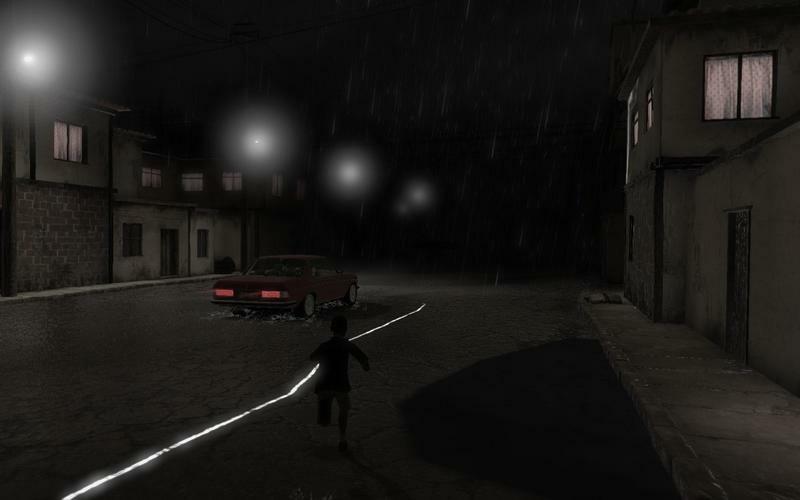 Once Papo & Yo is over, players feel connected to the main character in such a way that the game's story leaves a massive impression. In just over two hours, I felt weighed down with emotion, and that's something only a rare handful of games have ever given me. …players feel connected to the main character in such a way that the game's story leaves a massive impression. It's a gift that stands as a truly one-of-a-kind gaming experience. It comes with its own set of flaws, awkward design choices and a handful of weird hang ups, but it's absolutely a game that calls out for players to dive in. This is a sad story, and it will absolutely affect you, regardless of your childhood. If you're looking to try something a little different, give Papo & Yo a crack. It's been available for the PlayStation 3 for some time now, but Minority's effort released on Steam for the PC last week. 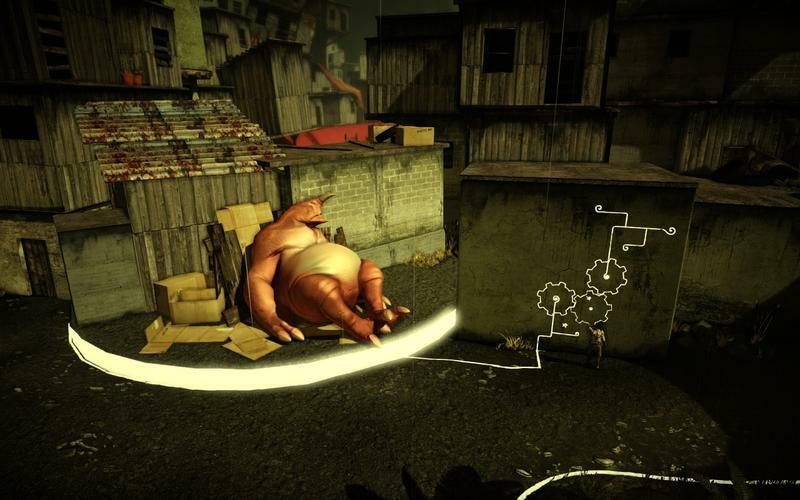 We received a code to review Papo & Yo for the PC platform on Steam a few days before its launch. We played the game to completion before starting this review.